Thanks to the Birmingham Record Collectors and Dinky Harris himself, you can now get the official reissue of the 1959 rockabilly rarity by Dinky Harris and the Spades "She Left Me Crying" - a song once described as capturing "lightning in a bottle". The other side, "Think It Over Baby" a song written by Dinky is from a previously unreleased acetate. 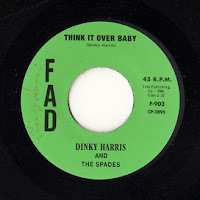 Dinky Harris and The Spades included Jerry Woodard, Bobby Mizzell, Johnny Carter and Frankie Benefield. "She Left Me Crying" was penned by Jerry Woodard who Dinky first met at a race track. Jerry was a driver and needed some tools to get work done on his car called "TV6" the same station where Jerry played with Country Boy Eddie's band. Dinky had the tools he needed and they became friends. 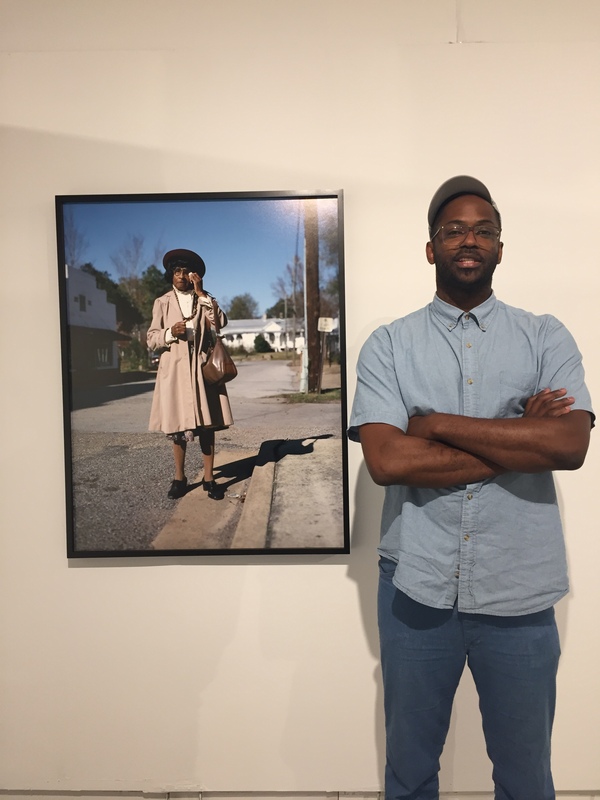 Dinky was born Derron Doyle Harris in Cordova, Alabama in 1938. 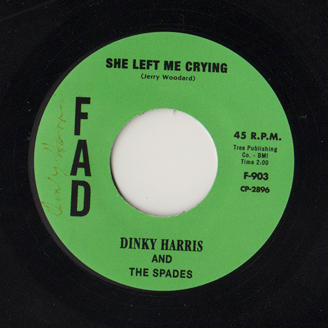 "She Left Me Crying" was Dinky's first record, others followed under other names – Dinky Harris and the Nuggets, “Linda”, Dinky Harris and the Draft Dodgers, “Who’s Gonna Rock My Baby”, Dinky Doo, “Think It Over, Baby”, and Dinky Harris, “I Need You”. In 1962 he went to France as a member the Air National Guard and after returning to the US he entered the ministry in 1965. He continues his work as a pastor in Illinois where he has been living since 1977. Dinky still appreciates his fans and personally directed this reissue project. 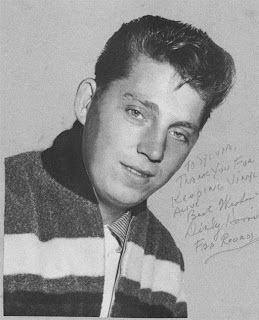 Copies of a promotional picture of Dinky are also available and he will autograph the 45 rpm record, the white sleeve as well as the photograph. 500 copies of the record were pressed and 200 were sold at the Birmingham Record Collectors show in August 2011. This limited pressing is going quickly so don't delay getting your copy. You can purchase both the record and the photo from Dinky's friend and Birmingham Record Collectors member Johnny Powell on Ebay. All money goes to Dinky and all materials are shipped by Dinky himself.